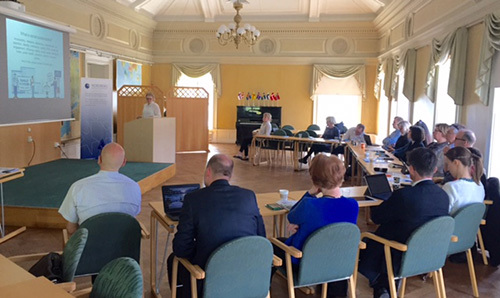 A group of Finnish regional planners across the country visited Nordregio to learn about the Nordic research aspect on urban planning, State of the Nordic Region report and NordMap web-mapping tool. Nordregio has the pleasure of hosting visitors that are one of our main target groups, the regional planners. We are happy to share our research results and also gather good ideas for future studies. This time we focused on discussing NordMap web-mapping possibilities planning and also showcased few research projects on urban planning. Up-to-date and relevant maps are one the Nordregio’s main products and our latest report State of the Nordic Region 2016 presents a wide, but carefully chose selection of maps presenting demographic, labour market, economic and infrastructural changes in the Nordic countries in recent years.